Nest swings- Huge range of nest swings outdoor swings and sensory Nest Swings- Great range of therapeutic swings and swing seats. 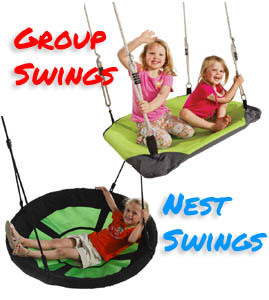 Huge range of nest swings to choose from. 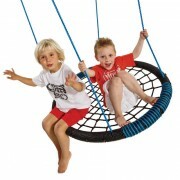 The nest swings are great for two children to play on at one time. Perfect for children to lay down, sit or evan stand on safely while swinging. We have web swings with soft fabric and padding around the edges or we have nest swings with just the traditional web swing netting design. Nest swings are great for children of all abilities to use. The web swings are becoming our most popular swings sold for backyard swing sets. Go on put one on your swing set!